During the recent holiday season I did some shopping – both online and off – where the customer service experience was well, shall we say, less than stellar. I get it…it’s a busy time, stores are crowded, businesses are shorthanded, and some customers just seem to live to push the boundaries of rudeness. That being said, I just had a post-holiday experience that was so annoying it spurred me to post about it. I was shocked to see the response it got…so many people chimed in that they had the same or similar experience, that customer service is non-existent, that they could identify with it. I got a number of “Good for you’s” that implied they have been subject to this type of behavior themselves in the past, and wanted to do the same thing. Even if your website is not a shopping cart, and you sell your products and services in a brick and mortar store or use your website as a lead generation tool, a strong digital customer service approach can represent your business in a way that nothing else can. Well, except for you! Since I did a lot of my shopping online this year, I got thinking about the experiences I had in that environment. Pretty much across the board, online shopping was moderately easier in some instances when it came to getting my questions answered, finding the facts/information I needed, making returns, etc. I’m a hugely strong proponent of shopping where you live, but when it comes to customer service the online shopping space really had it goin’ on. What does everyone say about them when they talk about ordering products from LL Bean? That you can return them no questions asked. That’s the guarantee they built their business on from the very beginning. 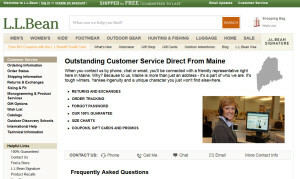 The sequel to that is that even though their online business has grown to be huge, their focus remains on a 100% Satisfaction Guarantee and “Outstanding Customer Service Direct From Maine“. The LL Bean website is a bit outdated in appearance, but it doesn’t matter. When you call that number, you get the most attentive, helpful, knowledgeable person you could possibly ask for, with what we refer to as the “Down East low-key cheery” persona. Once they pick up the phone they’re with you till they find it, fix it, or figure it out. 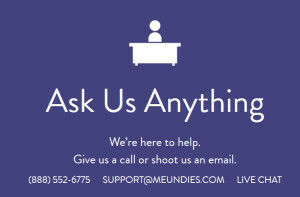 If you’ve never heard of MeUndies, prepare to be dazzled. This shopping and subscription underwear website has all the pieces in place. Their website is simple, clean, incredibly easy to navigate and tells a compelling story from the minute you land on the home page. Photos, videos, customer-submitted images, a presentation of their sustainable product manufacturing and referral incentives actually turn this whole website into an online FAQ for their product line. Their Help page? “Ask Us Anything” And they mean it…when you call the number, they are gracious, helpful and responsive. Members of this subscription club feel like their business is invaluable to this company. If you wear contacts, you know the feeling of panic when you realize you thought you had another box of them, but nope, you’re down to a matter of a couple of days. Or less. At 1-800-Contacts, they are always on the other end of the phone to help. Their website provides information on how to read your prescription, an easy-to-browse FAQ page, and an online Chat if you have questions. They make everything easy…you can even text your prescription to them. 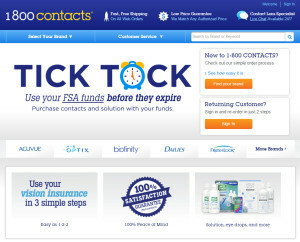 1-800-Contacts offers some of the best online customer service out there. Their phone support reps are terrific…warm, polite and responsive on the phone. Customer service is arguably the biggest problem businesses face right now, as evidenced by the visceral responses my Facebook post generated. People want it. They crave it. They appreciate it. So give it to them. How can you provide exceptional online customer service in 2016? 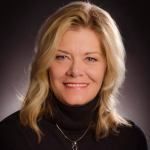 If you aren’t LL Bean, and you don’t have a ton of money to pay people to answer your phones and you don’t see them face to face frequently at all, how can you provide excellent customer service through your website? Connect with your market. Tell your story, just like LL Bean and MeUndies have done. Who are you? Did you start your business in your garage? Did you get to where you are by extraordinary means? Does your company have a history? What makes you unique, and why should someone want to buy from you instead of the guy down the street or on the other side of the country? Put a “face” on your website…and your business. What makes you different? What’s awesome about your product? Is it bigger? Faster? Cooler? More beautiful? Are you offering something completely new or improved? 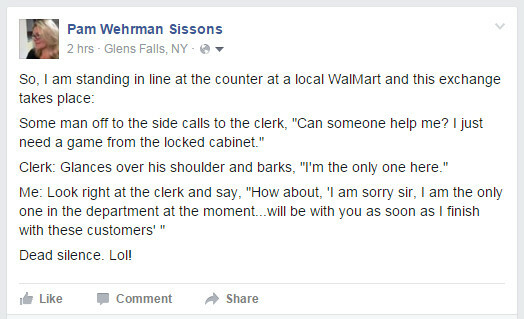 Is it your customer service? Answer the questions! Do your visitors and yourself a favor, and answer as many questions for them as you can up front. A robust FAQ section can support you in many ways: a) you make it clear you know all about your product, b) you avoid frivolous calls for things that they can easily find, and c) your leads and contacts will already be more knowledgeable once they do connect with a question. Designing a website or digital environment for the best customer experience possible can be enhance in a number of different ways. Customer chat software is a great way to go for some companies. Most important: when they do contact you, put a smile in your voice (or in your email). Be polite. Thank them for contacting you, and give them full and complete responses to their inquiry. And follow up! That’s one of the best ways to earn and keep loyal customers. Be sure to your local customers support your small businesses! Contact us for information on local and digital marketing strategies, or give us a call at (518) 222-6285 for information on affordable website design packages and digital marketing solutions. PreviousPrevious post:Small Business Networking: Glens Falls, Queensbury, Lake GeorgeNextNext post:What’s New: SPCA Animal Control Web Application Tool!